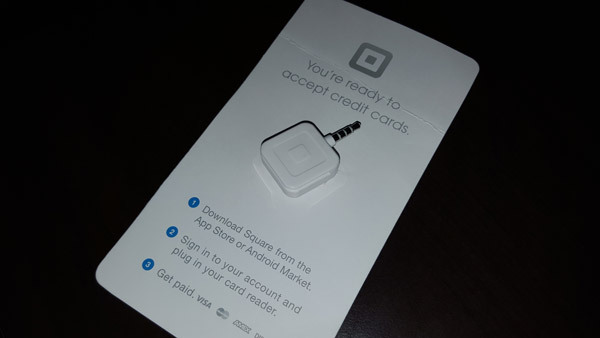 When people think of Square and SquareUp.com, they probably think of the app and Square Reader credit card swipe attachment for smart phones and tablets. That was my first introduction to the company. Since the launch of the credit card swipe attachments for smart phones, Square has expanded into other business services to meet the needs of its customer base and reach new customers. One way they’ve been expanding is by acquiring companies and integrating their technologies. Square purchased Bookfresh, the creator of online scheduling software in 2014 and around the same time they launched the Square Appointments service. I had reviewed Bookfresh and was not super impressed with it in the past, and fortunately Square’s Appointments platform bears little resemblance to the Bookfresh platform. So I must assume they purchased it to gain the customer base, website traffic, or some piece of the technology they used. The good news is – Square Appointments is much better than Bookfresh was. The Appointments interface is typical of what we’re used to seeing from Square: simple, minimal interfaces and functionality that gets the job done. Manage multiple staff on one calendar. You will need to upgrade to higher packages to manage multiple staff members. In addition to these pillar features, there are lots of settings that can be tweaked. Many of these settings are shown in my video above. Square Appointments Pricing – Cheaper than a receptionist? Square Appointments could reasonably replace a part-time receptionist to answer phone calls and record appointments. Event with that high value mindset, Square is reasonably priced in the online appointments market starting FREE for individuals. Then it’s $50/mo for 2-5 staff and $90/mo for 6-10 employees. Your credit card processing fees go down at the higher plan levels as well. Bookeo: Not as pretty as Square, but highly functional and get’s the job done. Vcita: Well known in the industry with a large customer base. Great features and nice interface. Recommend Vcita often. YouCanBook.Me – I see this app often in email signatures for people who do a lot of phone meetings. It has really good calendar integration. Check out my review here. MindBody: Appointment booking process is a bit bulky in my opinion. This software is targeted at wellness practitioners, but anyone can use it. 10to8: This is one of my favorite online booking platforms because it does everything. 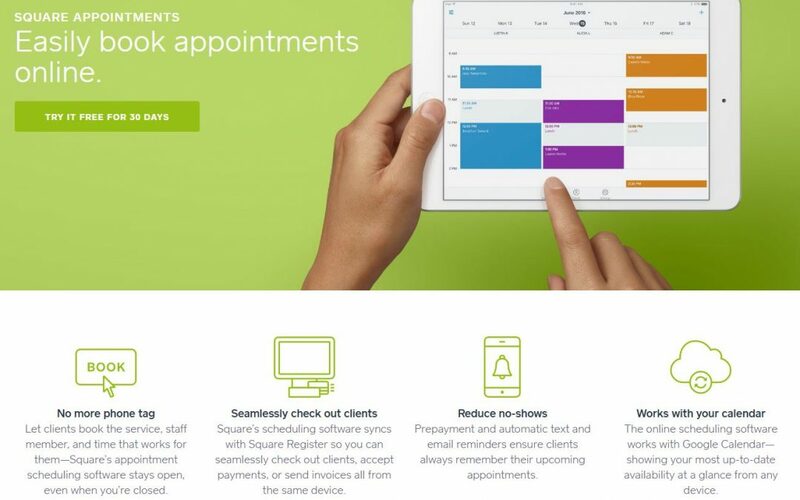 I might recommend Square Appointments over it for people who are looking for simplicity. 10to8 has so many features that it’s really well-suited for enterprise level booking but it’s also simple enough and prices for individuals to take advantage of it. Review video here. 2018 UPDATE – 6 Common Questions ANSWERED! Three years ago, I recorded the video review on Square Appointments. The video has received a thousands of views and hundreds of comments on Youtube. I always answer questions in the comments on Youtube, but there were a lot of great questions repeated that I didn’t always have answers to. 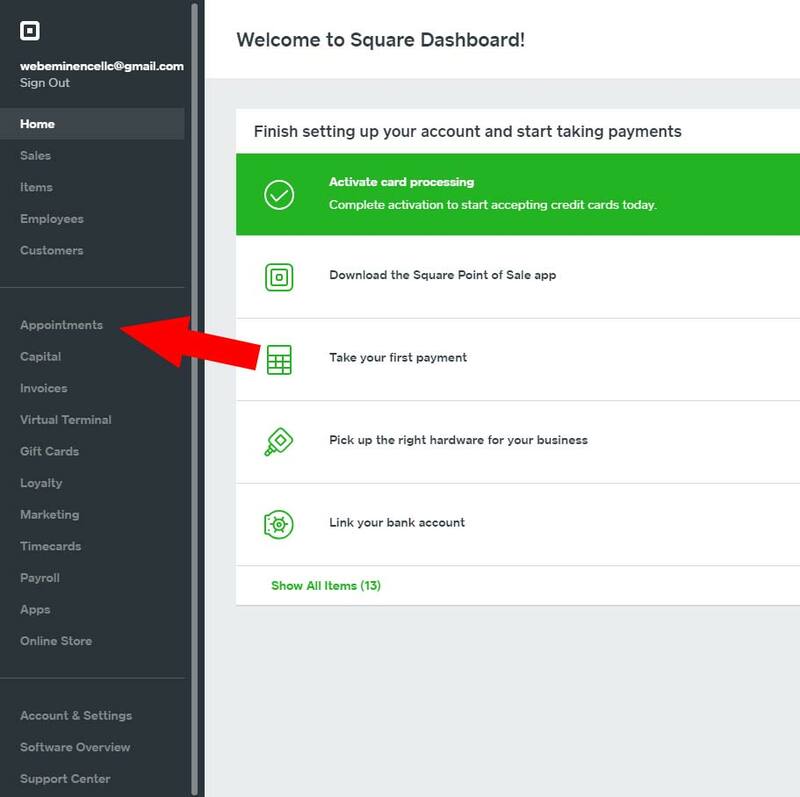 There have also been a few key updates to Square Appointments in the last few years since my video so I figured now would be a good time to look at those updates and answer six of the most frequently asked questions in a video update. But first, if you haven’t watched my original video, make sure to check that out above to learn the basics, which have remained largely unchanged in the past few years. Then watch my new video below for updates and FAQs. 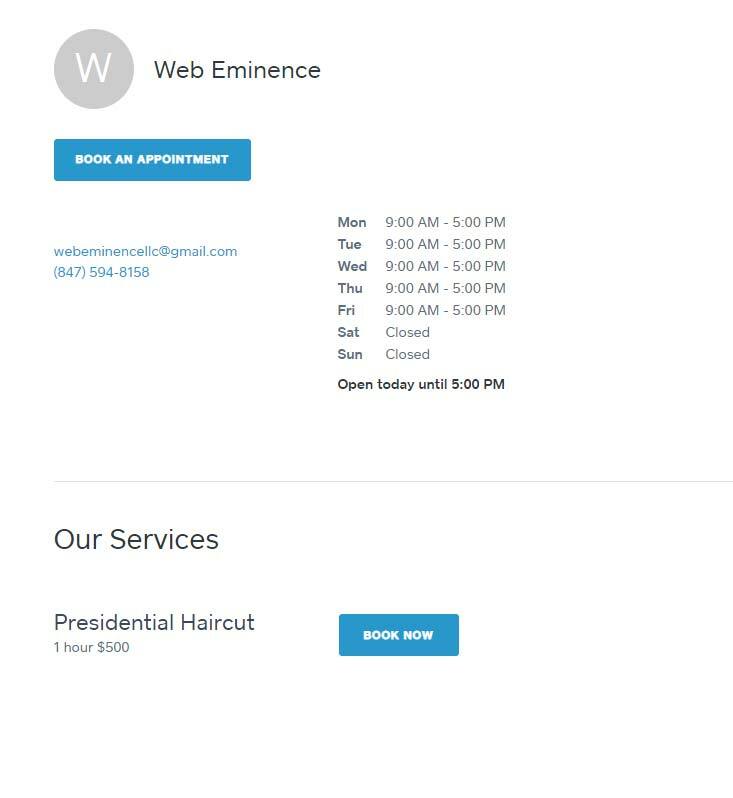 What’s New with Square Appointments? One of the first things you’ll notice when following links to sign up for Appointments is that you are no longer taken directly to the Appointments product page. Instead, you are taken to a dashboard that includes all of Square’s products. It’s easy to get confused here (I did my first time encountering it!). You just need to locate the Appointments link in the left navigation bar. Price is pretty important right? The biggest update with Appointments is that the product is now FREE for individuals. Credit card processing fees still apply, of course, but there won’t be a monthly charge if you are a business of one. Here are the top questions I’ve received from my video over the last few years with answers below. I go through all these questions on the video above as well. Question 1 – Can Square Appointments Keep People’s Info and Credit Card on File? Yes. There is a Directory where you are able to look at each of your clients/customers individually. Here you can see personal information, appointment schedules, and payment info on file. I have not viewed actual credit card data but I assume it’s kept secure by not displaying the full credit card number. You are also able to add NOTES, allowing you to input additional information for other Staff Members to reference. Question 2 – Can Square Appointments Allocate Portions of Payments to Multiple Staff Members or Separate Money Spent on Retail Items? No. You are not able to have money go to different Staff Members within your single Square account as you are only able to have one active bank account assigned at a time. This means all money received will go to this same bank account linked to your Square account including any retail sales purchased onsite or online. There are a few ways to handle this issue, however. You can create different Square accounts for each Staff Member so each can have their own bank account. This may complicate things too much and if so, Square provides Sales Reports which will allow you to see each sale by Employee and can serve as a management tool for dividing pay. Question 3 – Is Square Appointments Able to Track Gift Certificate or Does It Provide Online Gift Certificates? Yes. Square Appointments has expanded their Gift Certificate options since my initial video. Within their Gift Cards tab, you can send online Gift Cards, or what they call eGift Cards. You have the option of designing your cards and generating a personalized link to send them out to potential customers for purchase. You’re also able to do promotions and create discount codes. 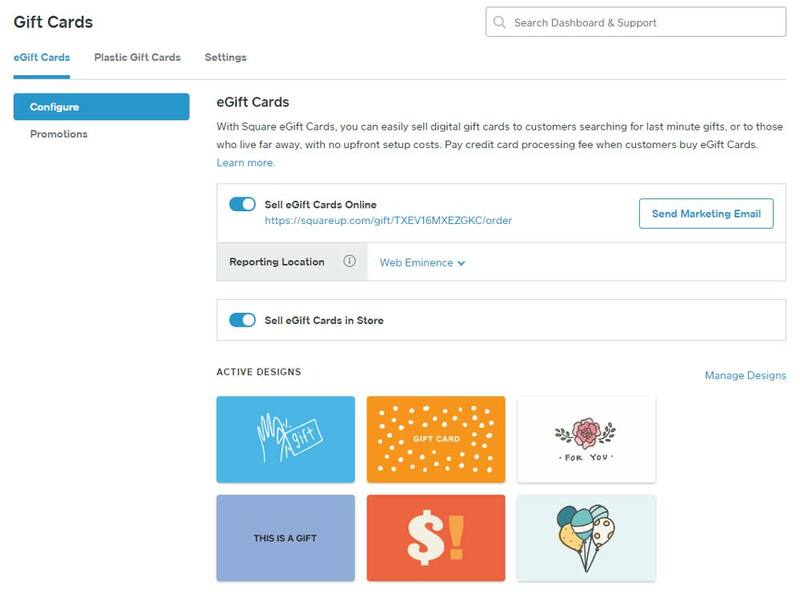 If you still prefer physical gift cards, Square Appointments has an option to create those as well and will mail them directly to you. Question 4 – Does Square Appointment Support Automatic and Recurring Billing? Yes and No. There is not a recurring billing feature within Appointments on the checkout screen for customers. However, as an Admin you are able to setup recurring appointments through the Calendar tab. You can set the parameters (daily, monthly, etc.) and determine when the recurring appointments will end. So it can be done, but it must be done by a staff or admin. Question 5 – During Online Booking, Can You Determine a Deposit Amount at the Time of Booking? Yes and No. You cannot take a deposit at the time of booking but Square Appointments gives you a few options in the Payments & Cancellations for protecting yourself when it comes to no-shows, cancellations, etc. Booking without No-Show Protection: Clients can book, reschedule, and cancel appointments without being required to pre-pay or provide card information. You can add a written Cancellation Policy. Booking with No-Show Protection: Allows you to charge a cancellation fee if people cancel or don’t show up. Requre Prepayment: Allows you to take full pre-payment for the booking up front. Question 6 – Are You Able to Book Multiple People at the Same Time? No. This question gets asked a lot by people who are holding classes and need to fill a time slot with multiple participants. Unfortunately as of right now, a scheduling block only supports one person. If you’re taking bookings for classes for multiple people in time slots, I would suggest looking into 10to8. You can see my review of the program on 10to8 here. Hopefully that tackles your questions since they are the most commonly asked questions on my video. If you have other questions on Square Appointments, please comment below and share them. Maybe I’ll do another video in a few years to answer 6 more questions including YOURS!